A pastor and teacher of the five-fold ministry (Eph. 4:11), Pastor Romell D. Weekly is co-pastor of The Sanctuary, in Kirkwood, MO. 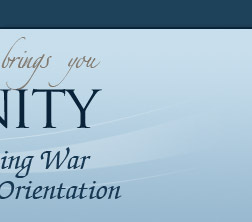 He also presides over Judah First Ministries, a Christian non-profit organization. As a part of Judah First: Phase 1, he launched multiple Bible-teaching websites, providing detailed Bible studies and answering hundreds of questions submitted by users. He has become, for many, the go-to person for in-depth, understandable answers to tough questions. He also launched the Gay Christian Fellowship, an active and growing online community where gay Christians can congregate, and find Bible-based affirming teachings that will help them reconcile their faith in Jesus with their sexuality. His ministerial sphere (area of special concern) is addressing issues related to human sexuality, primarily from a theological perspective. He feels strongly that when Scripture is considered the highest authority, and is rightly interpreted, it is impossible to believe that God condemns people for failing to have a heteronormative sexual identity. He has a burden to blow the trumpet in Zion—to proclaim loudly and continually God's truths regarding sexual orientation, gender orientation, and gender identity. To blow the trumpet "in Zion" means to keep God's message before the Christian community, especially those of a theologically conservative persuasion, many of whom erroneously believe that Scripture condemns homosexuality. It is his greatest hope to free Christians from the theological quagmire that compels well-intentioned Christians to judge and condemn those who are different, rather than to accept and affirm them, joining together in the mutual journey to love God and neighbor with boundless intensity. 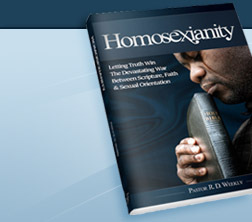 It is this passionate charge to spread affirming truth throughout the Christian community that led Pastor Weekly to write two books on the subject of homosexuality—Homosexianity, which delves into the Scriptures to determine whether God actually condemns homosexuality as many believe, and his newly released book, The Rebuttal, which offers specific rebuttals to numerous arguments raised by leaders in the un-affirming community. He also founded and is the presenter at the Homosexianity seminars. In this 4-session course, attendees are given in-depth Bible teachings on affirming theology and their relation to the spiritual and social issues of our day. They are also provided with an opportunity to ask questions, ensuring that when each session has ended, they have a complete understanding of the material covered. Going forward, Pastor Weekly is not losing steam. 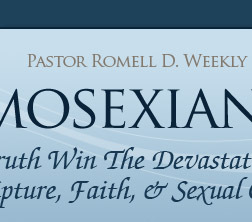 He has plans to continue to expand Judah First Ministries, and to expand the Homosexianity seminars nationwide. "I have been ordering and reading books that deal with homosexuality and Christianity for over a year now and this must be the tenth or eleventh book that tackles the subject. The other books are wonderful in their own way but Homosexianity is the quintessential book that not only explains issues but also gives you a sense of perspective, continuation and a solid hope for the future." 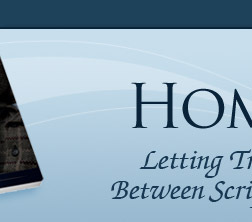 "Homosexianity is the clearest and most brutally honest examination of the gospel of grace to the gay community of faith that I've ever found... This text is truly a gift of grace."